Leaving no reason for blame . . .
Violence looking for a war. To be the embodiment of peace. Is the seed of true revolution. To enter the true Now, where a timeless intelligence awaits, awake within itself, requires first that we align ourselves with the eternal principles that are its secret foundation. Let's look into one of the most fundamental of these empowering principles taught by every great teacher: We reap what we sow. In these so-called progressive times, this all but forgotten principle is as simple as it is prophetic. Share this simple fact with someone who hates his life, and he will hate you for the truth you tell about why he feels as he does! Everywhere we look, people are concerned with essentially one thing: getting what they want, when they want it, and as fast as possible. The fires that fuel their appetite for this envisioned success create so much smoke that they lose sight of the fact that all they reap for their insistent sowing are the cold ashes of regret raked out of broken relationships. We must work to not burden others or ourselves with past regrets, disappointments, or fearful future visions, even as we learn to ask truth for more insight into those unseen aspects of our present nature that are reaping their regrets even as they sow more of the same dark seeds. We must learn to sit quietly with ourselves and wait patiently for the light of God's peace to replace those dark, noisy thoughts and feelings telling us that we have too much old baggage to make the journey home. Each time we sow these seeds through some quiet meditation, we reap the strength that comes from realizing that this silence that comes to us is our true home. We must deliberately remember our intention to start our whole life over every moment we awaken to find ourselves reliving some past conflict. To cultivate this refreshed outlook, born of remembering that our true life is always new in the Now, is to let go of who we have been and to begin reaping a life free of anger and fear. We must learn to look our fears, weariness, and anxiety directly in the eye, and instead of seeing what is impossible according to their view of life, sow the seeds of a new self by daring to doubt their dark view of things. Our refusal to identify with self-limiting negative states reaps us the reward of rising above their inherent limitations. It is not enough to just sow seeds in this physical life, i.e., struggle for or make millions, invent the greatest gizmo ever, become the who's who of some social registry, for regardless of how sublime these intentions first seem, and even if their seeds should grow and flourish, they can only grow into forms that pass and fall in time. If we wish a life that is whole and loving, one that is filled with new light, then we must sow these eternal seeds within ourselves; that is our work. Make your own list of ways to work at sowing the seeds of the higher life. Set your self to the task of being an inwardly awake person and watch how you begin to reap the awareness that makes all things possible. 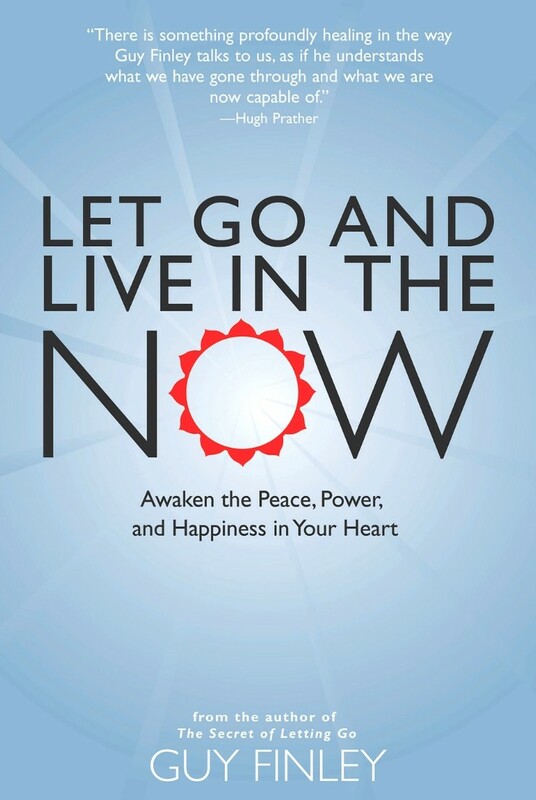 Excerpted From: Let Go and Live in the Now: Awaken the Peace, Power, and Happiness in Your Heart, pages 135-136.